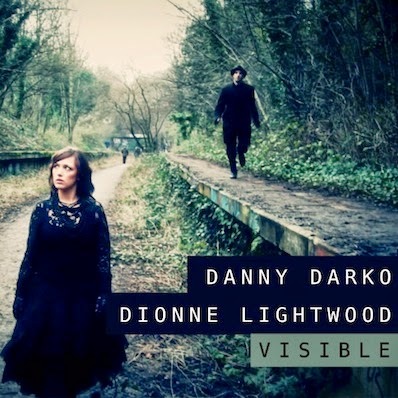 What the song really has going for it is the good vocal performance from Lightwood, effective songwriting that gives a memorable vocal hook and the sense of progression across the whole track, from atmospheric intro to dubstep mid-section to full-time breakbeat closer. Lightwood sounds like a more fragile and less brash Rihanna from her "Russian Roulette" single here which fits in perfectly with the lyrical content and also avoids overpowering the song given the strength of the synths. The verses in this song have a particularly tight feel to them, as the subtle melodic instrumentation backs up the vocals. The song's final chorus and ending bring a big jump in energy with the doubled tempo - as you might expect - but doesn't lose its vibe, giving you a new rush to the finish but without sacrificing the atmosphere, and this switch back to full-time is something I like a lot in dubstep. The song's weaknesses however come in production of the choruses through the middle of the track. Using a supersaw is fine, as is using a fat bass patch. However what makes this a bit lacklustre for me is that we're dealing with what sounds like a sidechained supersaw pad, pumping down on each first kick and rising back up like a sucking sound across the length of the bar, which is quite a predictable rhythm, and the fact that this dubstep tune's drums largely follow the classic brostep one-kick-one-snare per bar structure, which means that there's little groove from the drums or from the main trance synth either. Dubstep without that element tends to drag a bit. The bassline helps a lot here due to its wobble, however that gets fairly predictable in short order too as it sounds very much like a run-of-the-mill brostep snarl. Another issue I have with that bassline is that it's an aggressive enough sound that using it and a bright saw in the same tune starts to put stress on the song's mixing. This is where the tune gets further let down technically, the mix is very uninspiring dynamically due to quite high compression, and the bass and lead synths feel a bit like they've been slammed together fairly crudely. On headphones, it's all too much at once. Sloppy mixing makes it harder to immerse yourself in the trancey vibe as different synths fight for your attention, although at least the vocal remains prominent. These problems add up to undermine what is a nice idea for a hands-in-the-air dubstep anthem built around a solid vocal performance. I still like the tune but it could have been better, and it doesn't quite grab me fully until it speeds up to full time at the end, which is an all-too-short part of the song. However, there is also the Ballad version, which is a restrained, more "orchestral" interpretation of the same piece, and I'd say I prefer it this way. The key instrumentation in this is the acoustic drumkit, piano and string section, a big departure from the dubstep version. By focusing on supporting the vocals and not having to be a bright big-room banger, taking away the big drums and the brash synths, it actually makes for a decent pop song. More subtely in the orchestral arrangement, pretty piano and good use of acoustic guitar, plus some genuine swing from the drumming adds a lot of the depth that isn't there in the original, so this is the version I'll probably come back to from this release. "Visible" is a so-so entry into the melodic dubstep genre which I do like, but wish was so much more. It's made a small step towards alleviating my scepticism that melodic dubstep can work as well as darker, classic dubstep or more bass-driven rhythmic brostep, but not quite far enough.